As part of exhibition It Won’t Be Long Now, Comrades!, curated by Katia Krupennikova and Inga Lāce, Framer Framed is hosting a lecture by professor and author Aaron Schuster. In his talk, Schuster will go into the themes of communism, love, comedy and feminism in the 1939 film Ninotchka. The film was actually a point of inspiration to the curators in the Comrades! 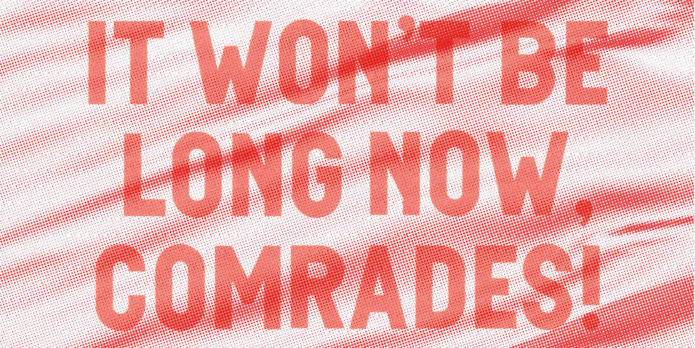 exhibition concept – ‘It won’t be long now, comrades!’ is a quote by the film’s protaganist Ninotchka. 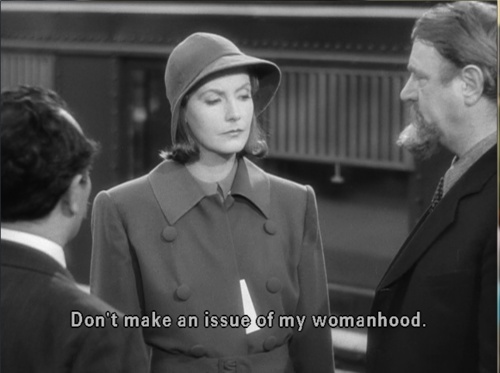 It would be easy enough to view Ernst Lubitsch’s film Ninotchka (1939) as an anti-communist tale. In this film, the cold, unfeeling Soviet emissary Ninotchka (Greta Garbo), sent to Paris on an important affair of state, ends up having a very different affair: she falls in love with a gigolo and learns how to stop worrying about the People and enjoy the charming luxuries of capitalist life (she even laughs!). In his lecture Aaron Schuster will show, on the contrary, how the best jokes in the film are actually directed against capitalism, and that Ninotchka remains faithful to the communist cause. He will go into the politics of Lubitsch’s comedies, dealing with capitalism, communism, and fascism. In addition, Schuster will draw a comparison between Ninotchka and the Bolshevik feminist Alexandra Kollontai (rumored to be the model for her character), looking at how Kollontai articulated a theory of comradeship-love. Aaron Schuster is a visiting professor at the University of Amsterdam. He is the author of The Trouble with Pleasure: Deleuze and Psychoanalysis (MIT Press, 2016). On exhibition It Won’t Be Long Now, Comrades! The exhibition explores the potential emancipatory power of revolution and resistance in post-communist regions (and beyond), with references to the area’s complex histories. Organised exactly 100 years after the Great October Socialist Revolution, the curators and artists ask us: what can we learn from the past in terms of revolutionary power today? The title ‘It Won’t Be Long Now, Comrades!’ is a quote from the film Ninotchka, in which the protagonist reflects on the crisis of the capitalist system. In a similar way, the artists in this exhibition point to previous rapid transformations to remind us that political change is possible, and to continue the struggle for inclusive, bottom-up alternatives to neoliberalism. Read more. Exhibition: It Won’t Be Long Now, Comrades!